In fact, nothing says more about the man than a well-chosen tie with a knot that’s entirely appropriate for the occasion. 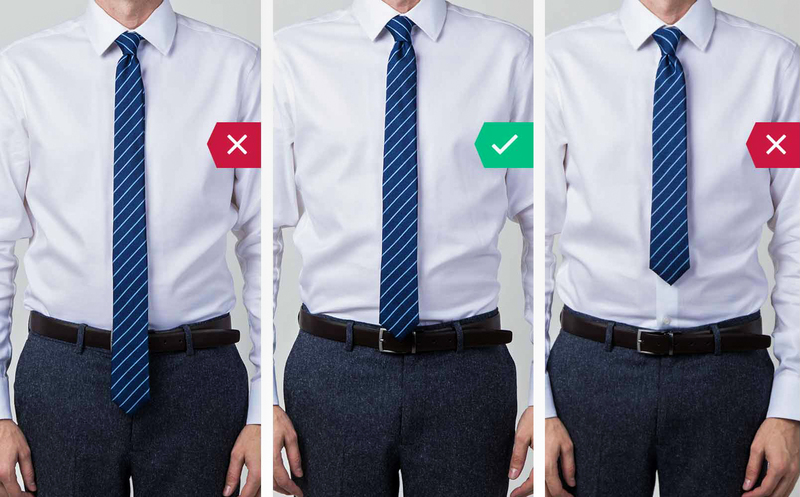 The right tie can make a huge difference not only to how you look, but how you feel too. Sure, your shoes, belt, and other accessories will all contribute to your overall appearance. This in-depth men’s ties guide will answer each of these questions and a whole lot more. It will help you feel better informed and more confident when you buy and wear a tie. We’ll start with the basics, and explore a topic that has baffled many a young man since neckties first arrived on the scene. 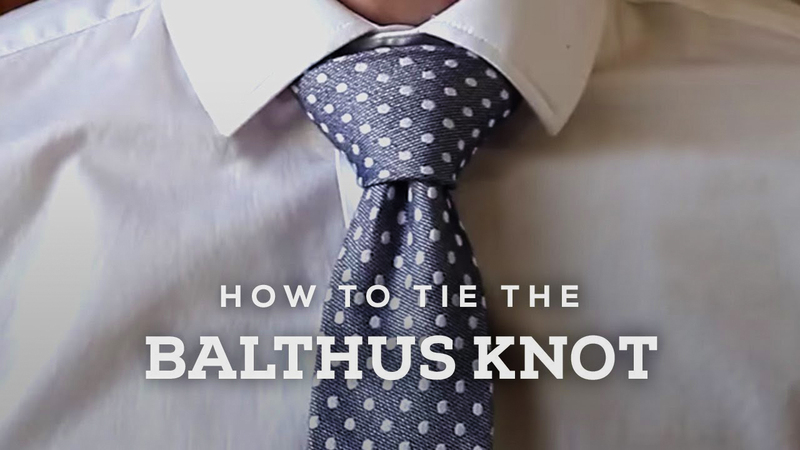 Which is the best knot, and how do you tie a tie, anyway? This easy-to-tie knot is also known as the Oriental Knot. It’s not that common in the West but is considered trendy in countries like China. 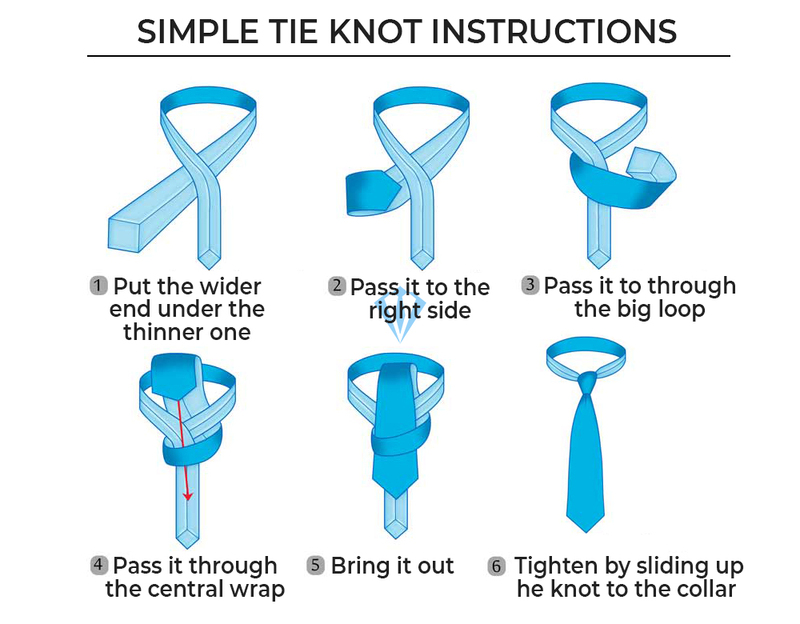 The Oriental method uses the least number of steps, and it’s ideal for thicker neckties as it keeps the knot small. It’s also advantageous for taller men who need length to balance their look. 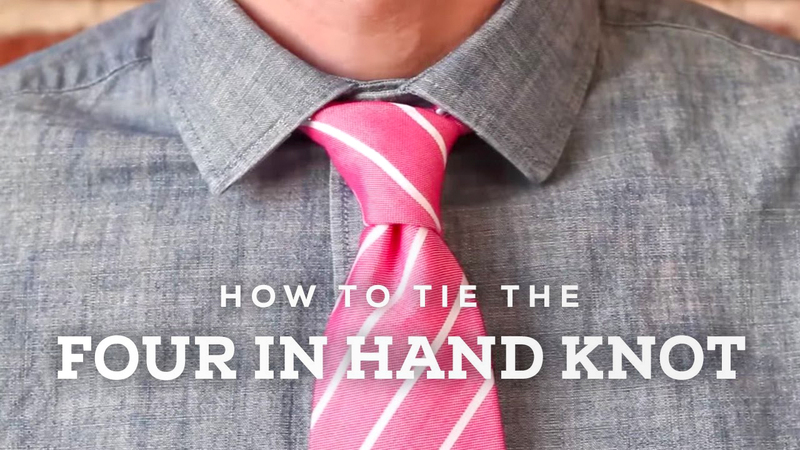 Begin with the wide end of the tie on your right-hand side and the narrow end on your left. Position the tip of the small end just above your belly-button. Wind the broader portion under the narrow end towards the left, then back across towards the right. Take the wide tip up towards the neck, then back down through the loop just formed at the front. Tighten the knot by pulling downwards on the wider end, sliding the knot upwards at the same time. That’s it; you’re good to go! The disadvantages of this knot are that it can be a little difficult to untie and that the result is asymmetrical. This makes the knot lean over to one side. That said, if you’re into time-saving minimalism, this is the knot for you! This a true classic. 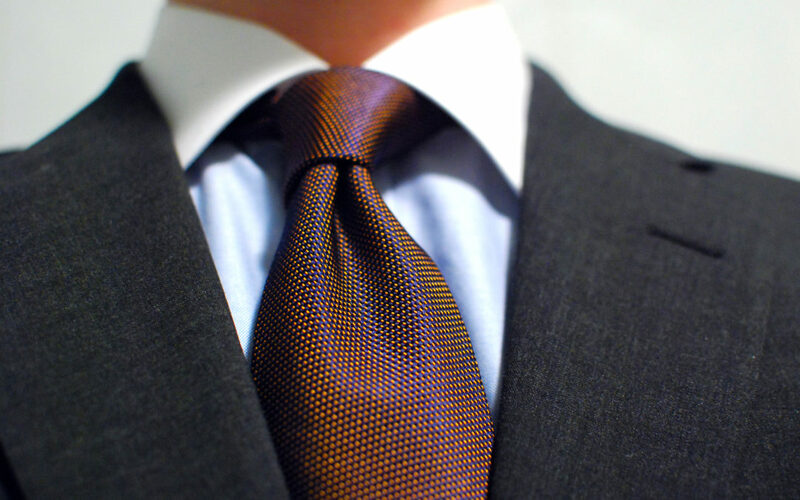 Named after a famous Gentleman’s Club in London, it is sometimes referred to as the schoolboy knot, too. 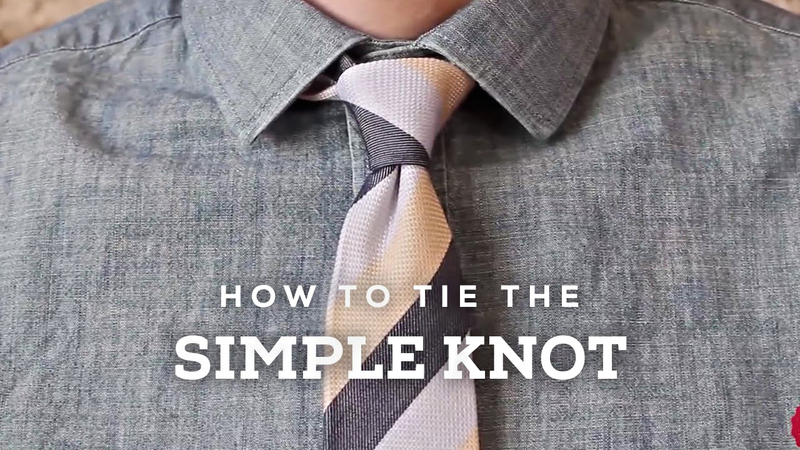 It’s probably the most popular knot in the West, and for a lot of good reasons. Simple to tie, versatile to wear, only slightly asymmetrical, and best of all, it’s self-releasing. The Four-in-Hand is your go-to, everyday knot, whether you’re a schoolboy or a busy company exec. Place around the neck and cross the wide part over the front of the narrow portion of the tie. Wrap behind the narrow part and bring forward on the opposite side so that it crosses horizontally at the front. Fold beneath the narrow part a second time, then pull up over the knot from behind. Tuck the wide tip down behind the horizontal pass and pull to tighten the knot. Slide the knot up towards the neck until it fits snug but comfortable. Looking good! There are no prizes for guessing this classic knot is named after the Duke of Windsor. Funnily enough, the Grand Duke never actually wore this knot. He preferred the Four-in-Hand with very wide neckties. Despite this fact, society loved the look, and soon men from all classes were emulating his style. 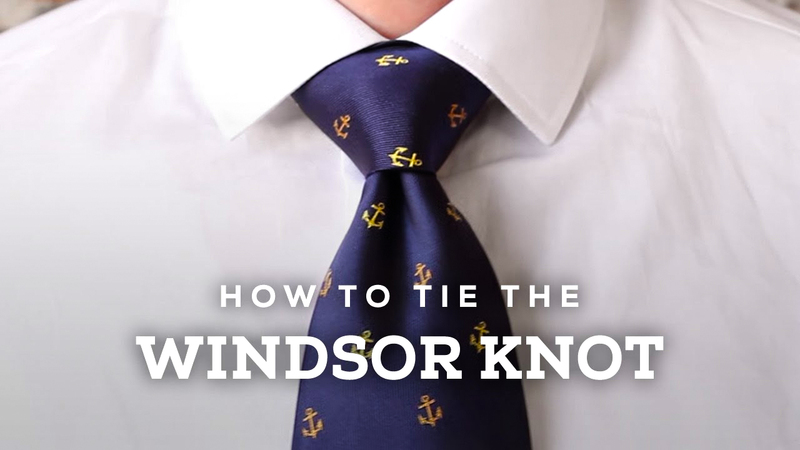 Using regular width ties, they eventually came up with what we today call the Full Windsor. It creates a neat, symmetrical, triangular knot that works particularly well with spread-collared shirts. 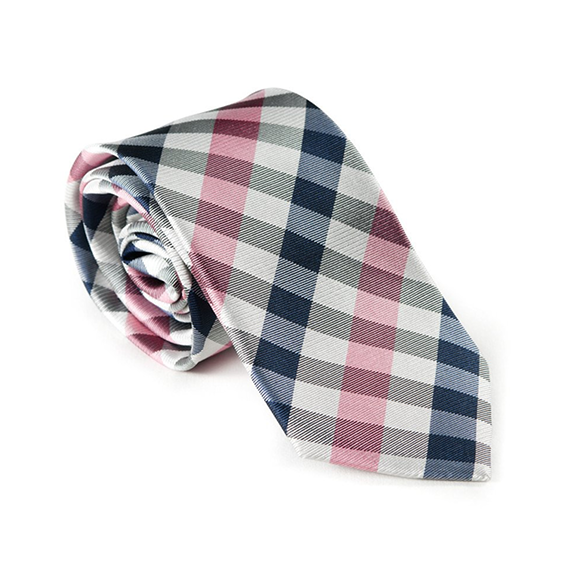 The popular Half Windsor is the less formal version of this now timeless classic. 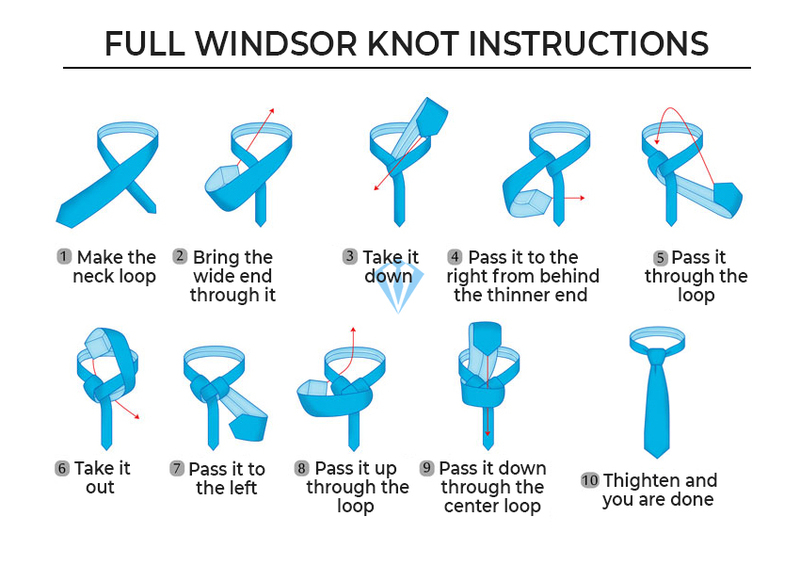 It’s fair to say that the Full Windsor belongs to one of the more advanced knots. But never fear, with a little practice you too can look like royalty! Place around the neck and cross the wide end over the front of the narrower part. Push the wide end behind the narrow part and push it up and through the loop. Wrap the wide end twice around the knot. From the front, pull the wide end back and down over the top of the knot. Again, wrap twice around the knot. From behind, bring the wide end up over the top of the knot and push the tip down inside the loop. Smooth out any wrinkles and pull snug around the neck. If it doesn’t look quite right, undo and start again, adjusting the length of the wide or narrow parts. 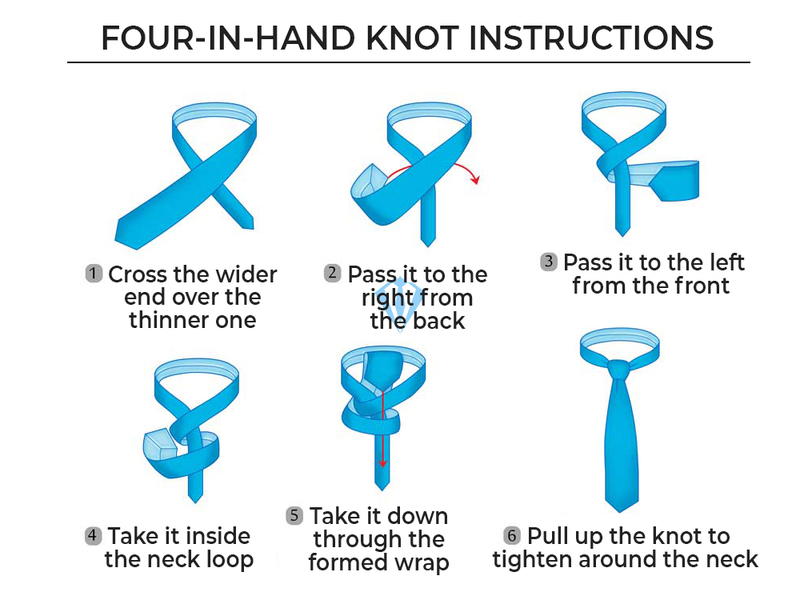 And remember, only practice creates that perfect Full Windsor knot! 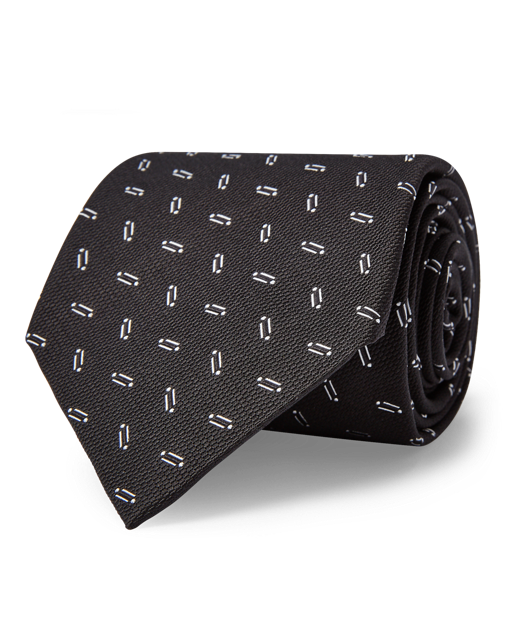 If you want your tie to make a statement rather than just blend in, this one’s for you. The Balthus is arty, big, and takes a degree of confidence to wear. First worn back in the 1930s by the Polish-French artist Balthasar Klossowski, it caused quite a stir. The reason for its size is that the wide end is wrapped many times around the narrow end. As a result, the tie ends up being very short. Wear it if you dare, and you’ll most definitely get noticed. 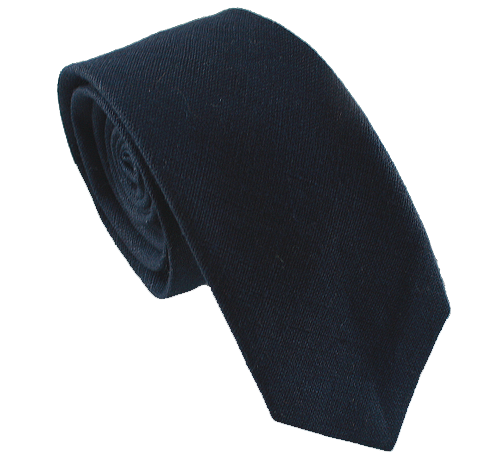 With the broad end on the right, place around the neck with the back of the tie facing forward. To the left, push the wide end underneath the narrow end. Pull up the middle towards the loop. Push through the loop and back down to the right. Again, pull the wide tip back up to the center and towards the loop. Push down through the loop, this time to the left. Pull back up toward the center of the loop. Slip the wide tip into the loop and pull down to the right side. Fold it to the left across the front of the narrow part. Pull back up inside the loop. Pass it back down inside the loop that appears at the front. Pull down to tighten and slide up to fit snug around the neck. 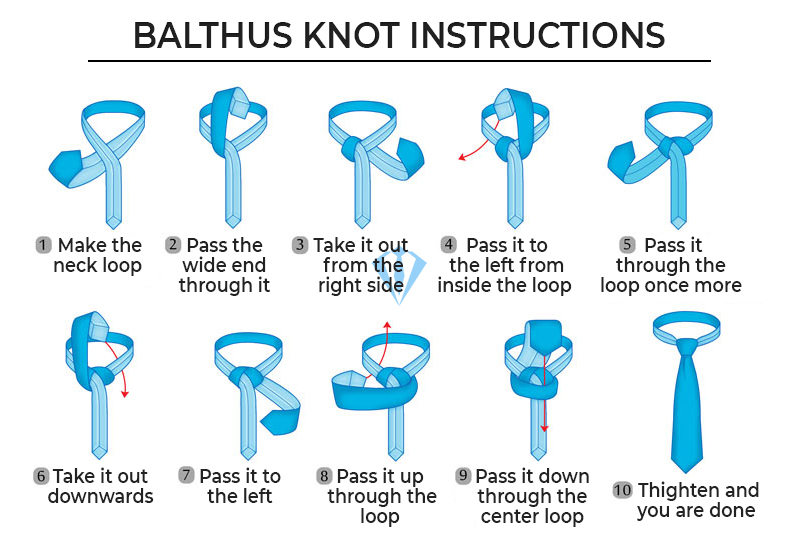 Tying a Bathus knot is no mean feat, so well done if you got it right the first time! Tie fabrics are essential when matching your tie with a suit. 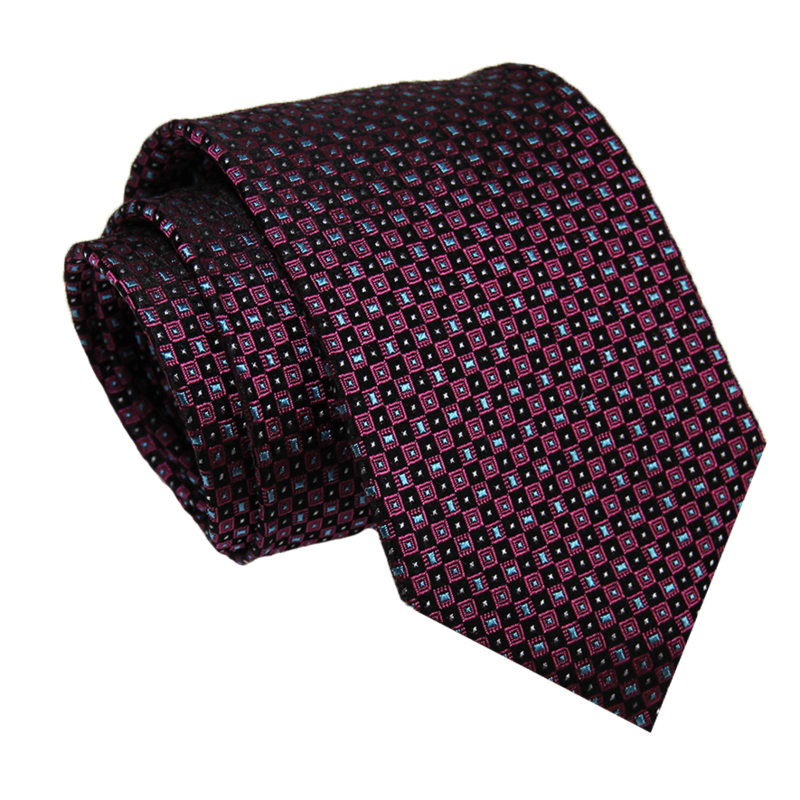 Silk is the classic tie fabric and has been used in their manufacture for generations. These men’s ties can be worn in any season and on almost any occasion. But the color and pattern you wear need to be chosen with care if you want the best results. It takes around 150 silkworms to produce enough raw material to make just one tie. Which is why it’s both expensive and problematic for proponents of animal rights. 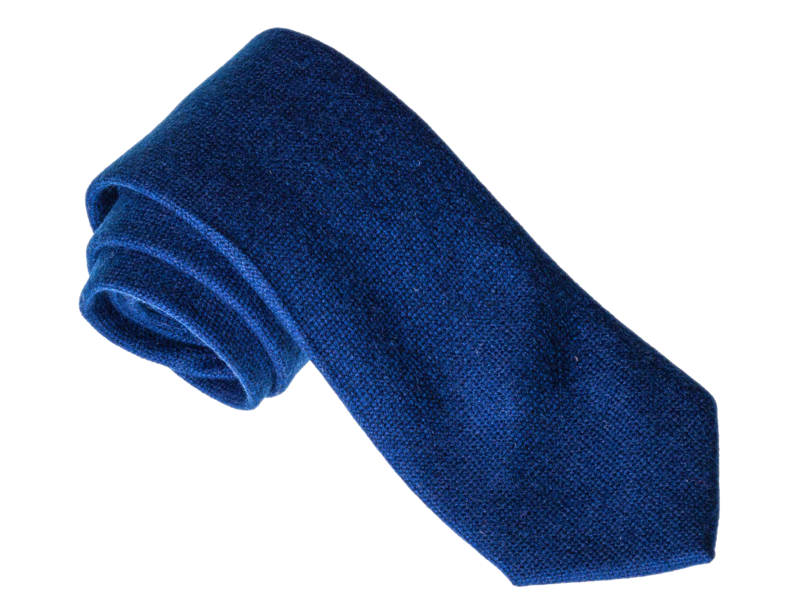 Cashmere is a beautifully soft, natural fabric that makes for a really neat knot. It’s best worn in winter and provides a truly luxurious finish to your cold-weather outfits. Cotton is more suitable for spring and summer. It creates a less formal look, so it’s not advisable to wear a cotton necktie with a business suit. Keep them for weekend wear with more casual linen suits. Linen ties should definitely only be worn on hot summer days. They’re light and comfortable but tend to crinkle easily. A linen tie goes well with a lightweight suit and a cotton shirt. 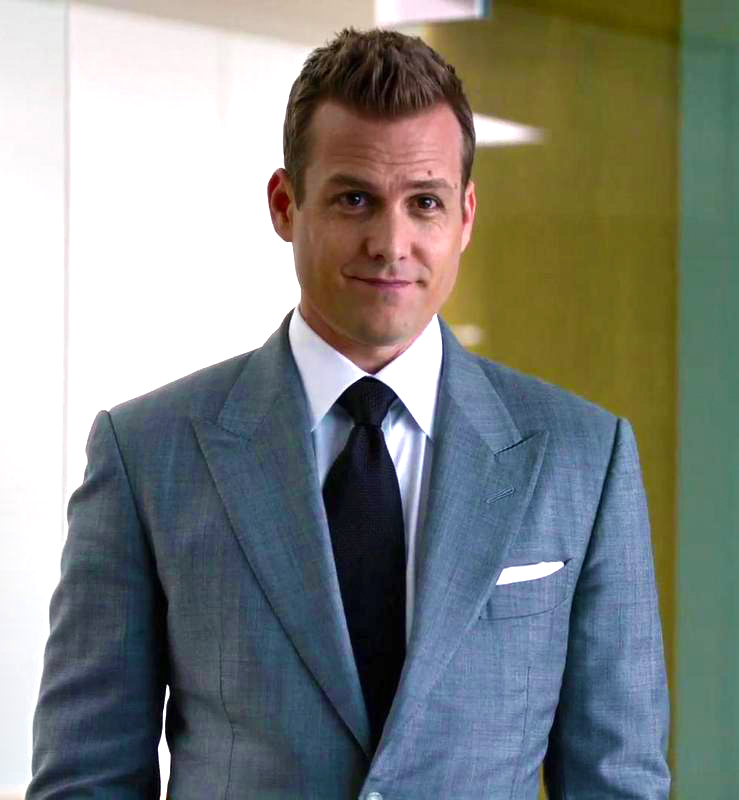 Wool ties are often made from the same material as your suit. They are best for cold days in autumn and winter. Woolen ties can be a little bulky, so get one that is unlined to reduce the volume of your knot. Avoid wearing with heavy suits. Worn as an accessory with a cotton suit, for example, a wool tie will help to balance out your overall look. Knit ties are not very common and a lot of men don’t know how to wear them properly. They are straight along the bottom edge and along the sides, rather than tapered. 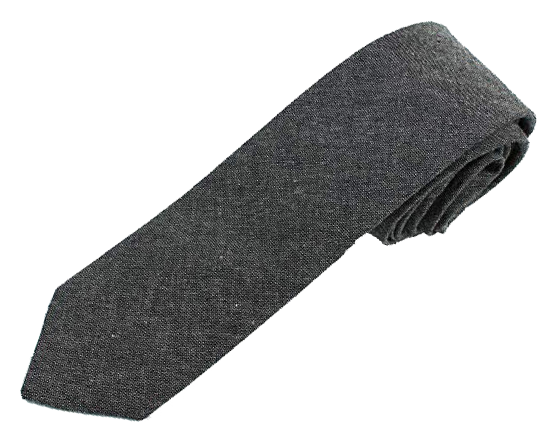 Knit men’s ties are more casual and relaxed and should not be worn on formal occasions. They can work well with a business suit, but you might want to go with a silk knit tie instead. Knit ties don’t crease as other men’s ties do, so are ideal if you’re traveling. For those who prefer to forgo the silk option, there are perfectly acceptable man-made fabrics available. Many of them feel and look very similar to genuine silk. 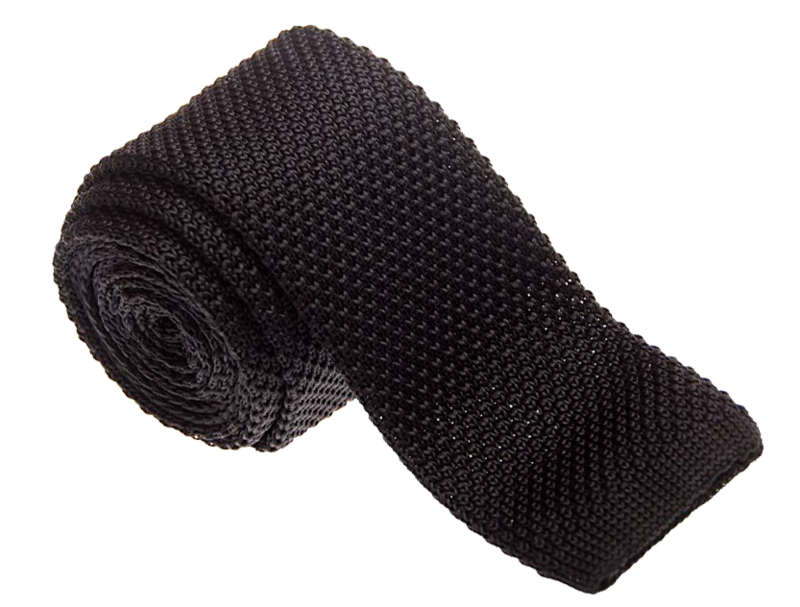 Synthetic ties are cheap and vegan-friendly, come in a wide color range and are crease resistant. Polyester ties are generally the cheapest, but they can look cheap, too. We’d recommend microfiber instead. It’s almost indistinguishable from silk and half the price. I am going to try and sort all different tie styles and patterns by usefulness, which is not necessarily accountable. The point is that every type of a necktie has their own part to play in the stage. Solid ties, that is, men’s ties of one color or with a single pattern, are essential fashion components. Every man’s core wardrobe should contain at least one red tie and another in a dark shade of blue. 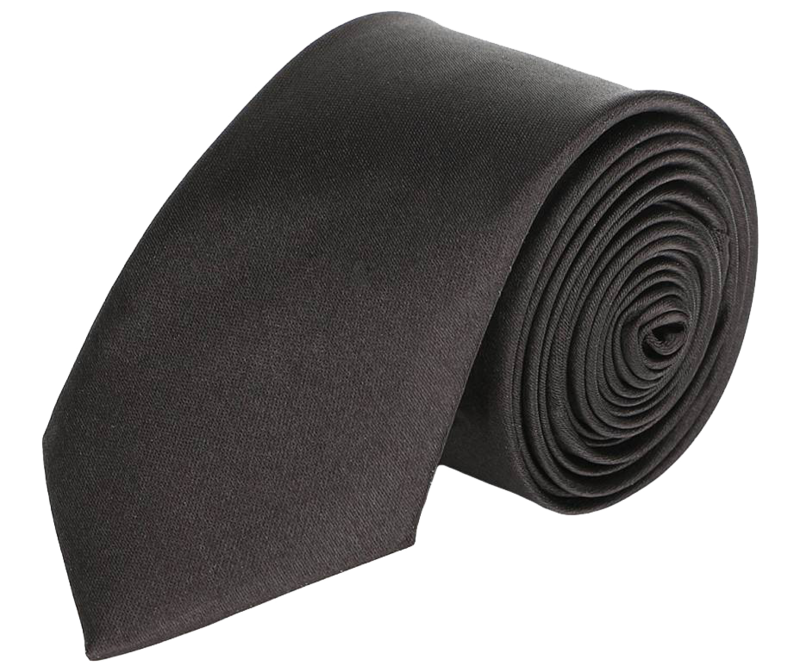 Don’t own too much of these, and think twice before purchasing a black solid tie. I mean, is it really necessary? 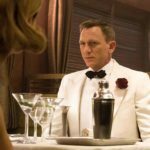 Combining a black tie with a white shirt is too much déjà vu and will not stand you from the crowd. 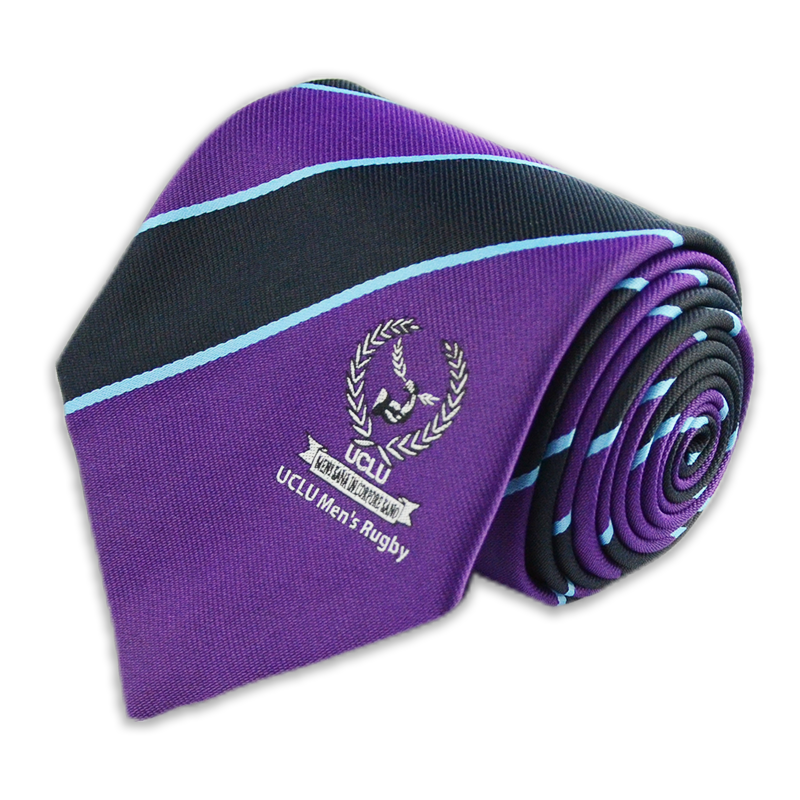 Macclesfield ties are also a great option. They are traditionally British and distinguished by their geometric diamond or squared designs. A perfect match for your classic fit suit. In fact, the Macclesfield used to be called the “wedding tie” because of the silver sheen that enhances their grey or white color. They are inherently formal and work well with morning dress. A classic tie, if I may say, appropriate for any occasion. Foulard ties have a repeated and most likely geometric pattern. The blocks do not change in size (nor shape), expressing the seriousness of the wearer. Patterns can be any geometric objects, carefully designed shapes, or even flowers. Let this not intimidate you, for they can look stylish and formal at the same time. Despite their original intent, nowadays club ties are characterized by a series of symbols on the tie. Back in the days, club ties symbolized membership to a private club. Therefore the name “club ties”. The color was defined by the club’s insight and was obligatory to enter the club’s facilities. Originally known as British regimental striped ties, they are famous for their stripe running downwards from the left shoulder of the wearer to his right one. Can be present in various colors and materials and are considered an important piece of men’s ties collection. 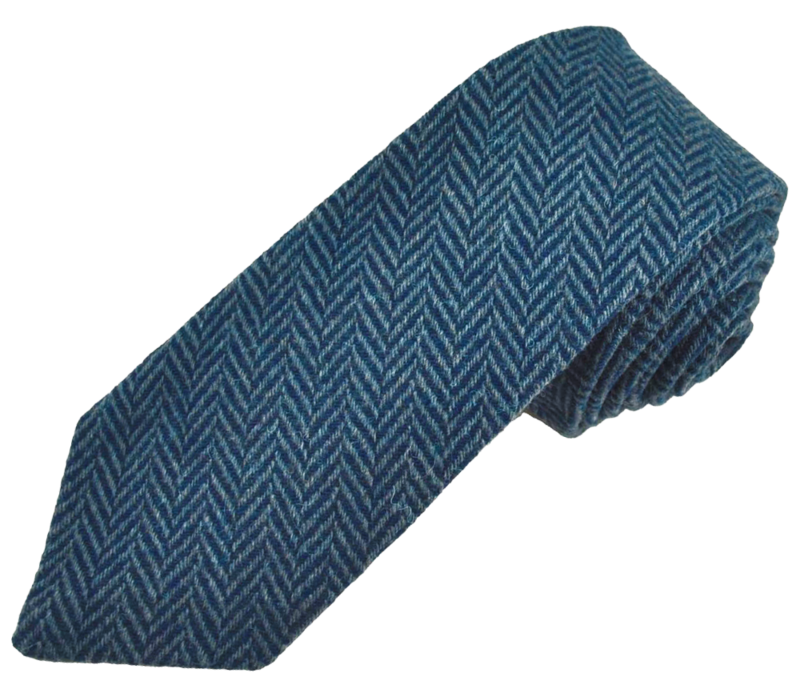 Considered to be a modern variation of the British striped ties. The only difference is that their stripes run downwards from the right shoulder of the wearer, to his left one. 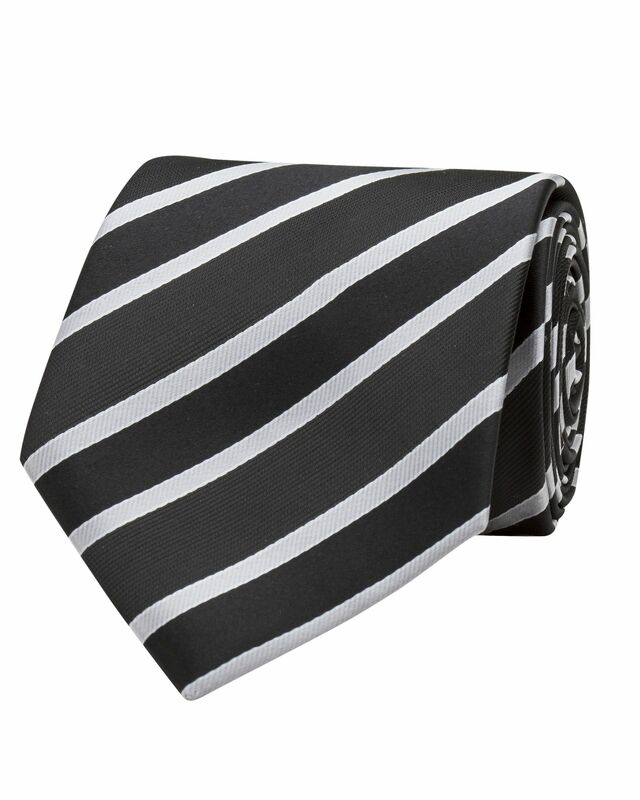 Repp stripe ties are one of the most popular types of patterned men’s ties. The diagonal stripes are a weave, not a pattern. Thus, create a highly versatile tie that can be worn both in the office and on a dinner date. Once upon a time, dots and spots were strictly women’s wear only. But today are perfectly acceptable for men. They work well with a striped suit and lend a playful edge to an otherwise formal outfit. 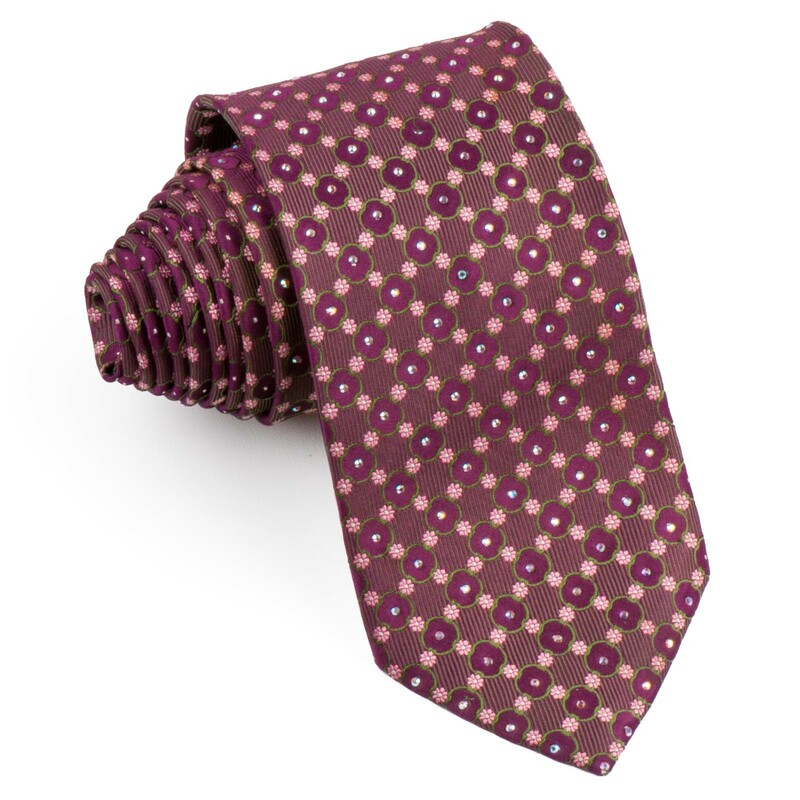 Dotted ties can be a perfect choice for more occasional meetings. Try to pair them with a nice solid shirt and suit. Avoid using them too much, though. 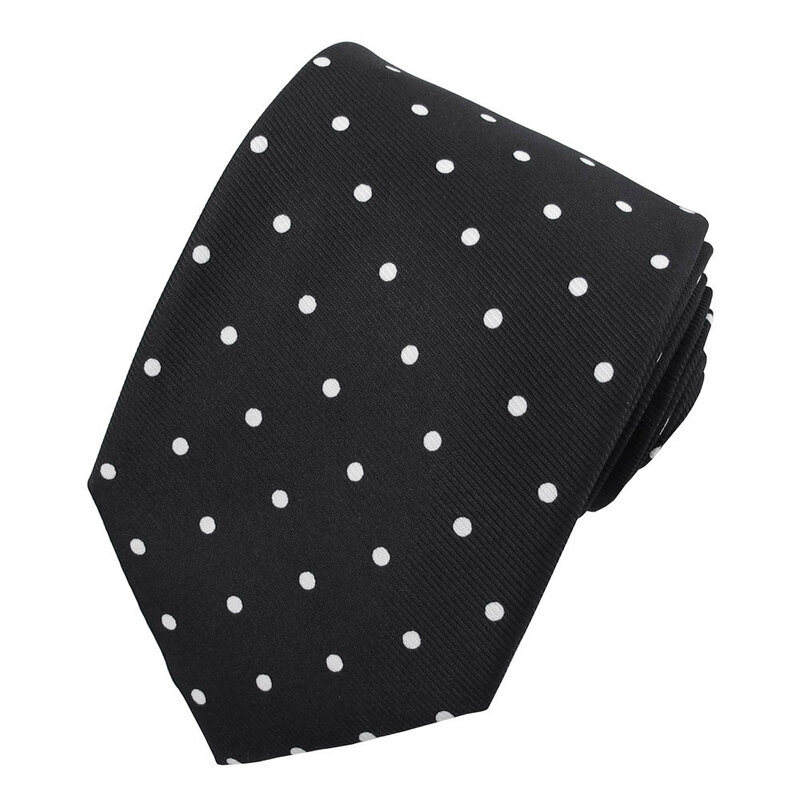 To have one dotted tie for your wardrobe can be enough. Plaid ties have Scottish origins. Their pattern of regular stripes and squares are highly recognizable. The pattern goes down from both sides at an angle, forming diamonds where they cross. These types of men’s ties are more suited to casual events. In fact, they pair nicely with striped suits or shirts. Avoid too many colors in them and you are good. Characterized by a repeated, curved Persian origin pattern. 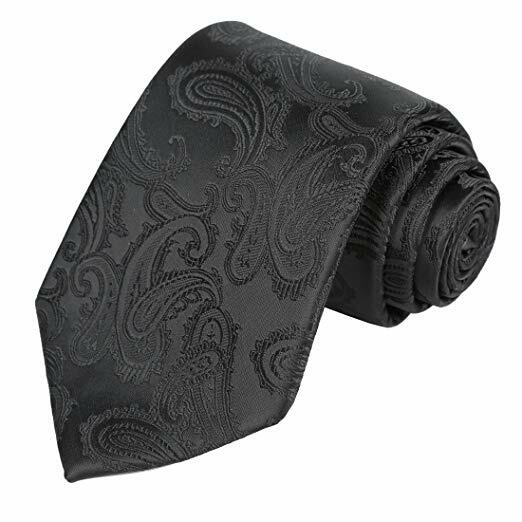 Paisley ties have mostly abstract design and serve as a casual wardrobe. Never wear them with suits or at any formal events. You’ve spent time getting your pants, jacket, and shirt to fit correctly. So it makes sense to give some thought to the fit of your tie too. A lot of men can get confused when it comes to choosing a tie. Which patterns look best? Which colors go with which suits? How do you know if the tie you’re buying is good quality or not? Choosing the correct width and length for their body size and shape can also be an issue. And that’s all before they can even start to think about the knot. 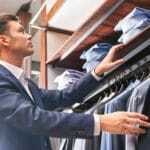 Although tie width varies with fashion trends and personal preference, there are a few guidelines that every man should follow. The size of your tie, for example. 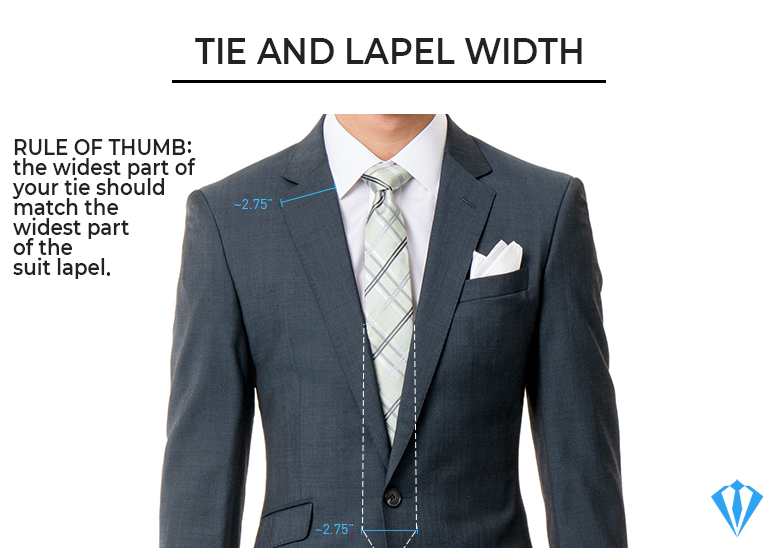 As rule of thumb, the widest part of your tie should match the widest part of the suit lapel. In addition, it should match the width of the shirt’s collar. The size of your tie matters, just as the size of your suit. The aim of any fashion item for shorter men is to draw the eye vertically rather than horizontally. Proportion is all-important here. Shorter gents should avoid oversized, wide ties in large, bold patterns. Skinnier ties in colors that are not too flashy or overpowering are best. When it comes to length, a lot of men wear their ties way too short. Unless you’re making a statement, your tie tip should just touch the center of your waistband. 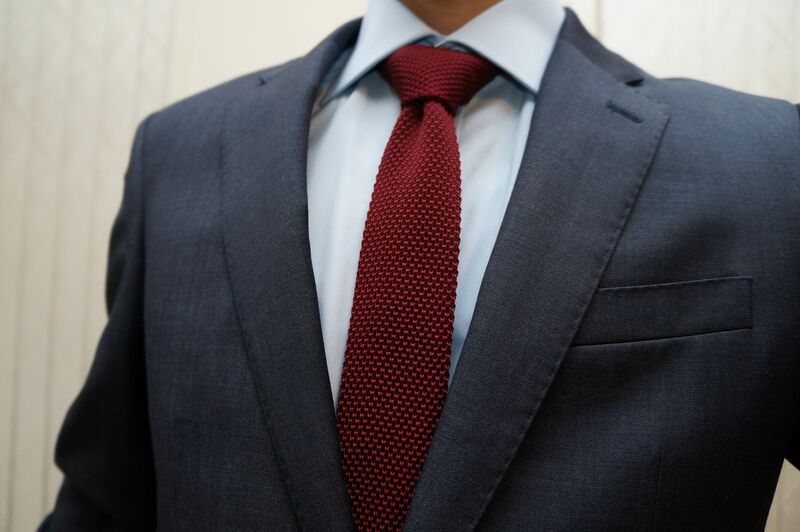 You will need to adjust the type of knot, and always make sure you buy the correct tie length for your height. Basically, the back blade length should match the front before you make the knot. If it doesn’t, you need to purchase longer ties. 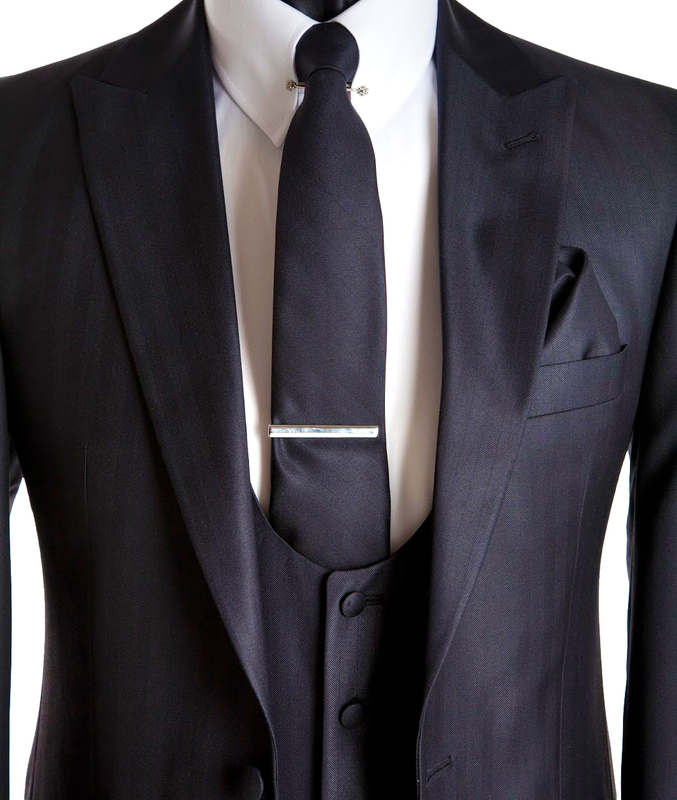 Simply stated: the widest part of your lapel and the broadest part of your tie should be the same. The end result should touch your waistband. There are a few standard color combos that every man should know. 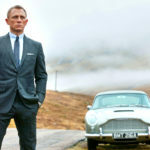 A grey suit, for example, is a classic that pairs well with a black tie for those formal occasions. Just be sure to wear a light shirt underneath. Pale blue or white are always on trend. 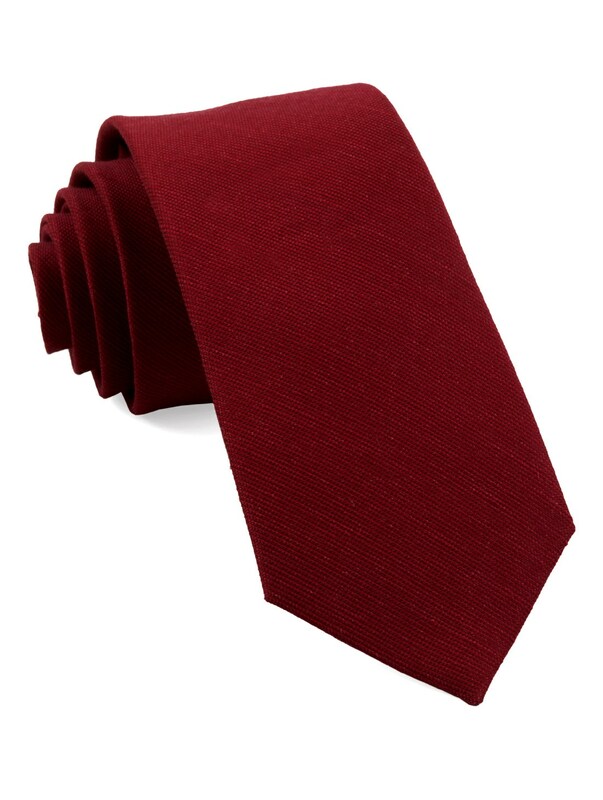 Red ties in various shades also look great with grey suits, especially with a white shirt underneath. Navy is another color suit that every man should own. As a matter of fact, this color will take you from the office to a wedding. It’s elegant and entirely classic, so pick ties that are the same. Navy can be worn with several colors of men’s ties – from dark brown, all the way through to bright pink. As with any items of clothing, if certain color combinations make you uncomfortable or you’re unsure of, give them a miss. Tie clips are great for accessorizing formal suits. They usually come in the form of a small metal bar and are both decorative and practical. They hold your tie in place by fixing it to the shirt placket. Again, the devil is in the detail and if you’re going to wear a tie clip, it’s crucial to get it right. Attach the clip horizontally from left to right between your shirt’s third and fourth buttons. Remember, understatement is key and your tie clip should have a simple, elegant design. Silver is a good color choice here. For more casual outfits, you can look for other colors and designs that express your individuality. Short men should avoid flashy, obvious tie clips. These will visually cut the body in half, rather than elongating it. Bow ties are different and, if I may say, a special type of men’s ties. It’s tied around the shirt’s collar in a symmetrical manner. There are three types of bow ties: pre-tied bow ties, clip-on bow ties and self-tie bow ties. They come in several shapes as well, which some of them include: butterfly, batwing, big (jumbo) butterfly, diamond point and the slim diamond point. Bow ties are subject on their own. They come with their own set of formal occasion rules that men need to be aware of. Apart from that though, you can have a lot of fun with a bow tie. 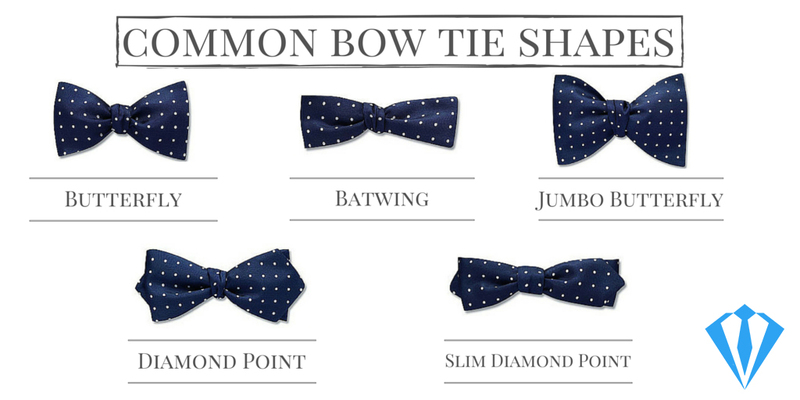 To learn more about bow ties, I strongly recommend this guide. There can be no doubt about it. A tie adds the finishing touch to any man’s outfit and goes a long way toward ensuring they look their best. In fact, a tie can transmit confidence, competence, and authority. Or it can simply broadcast the fact that you know how to dress with style. Wearing the right tie says you are comfortable inside your own skin and know you look great inside your suit. But to wear a tie well you should invest time in learning the art of wearing it properly. You need to master the basic knots and gain an understanding of proportions and color combinations. Once you have done that, then you can use the tie to express your own, personal style. A necktie can be worn as a flamboyant, bold statement, or as an understated element of quiet class and stylistic competence. The choice is yours. And by following our comprehensive guidelines, you can be sure that you’ll always be wearing the right tie, the right way, and at the right time. 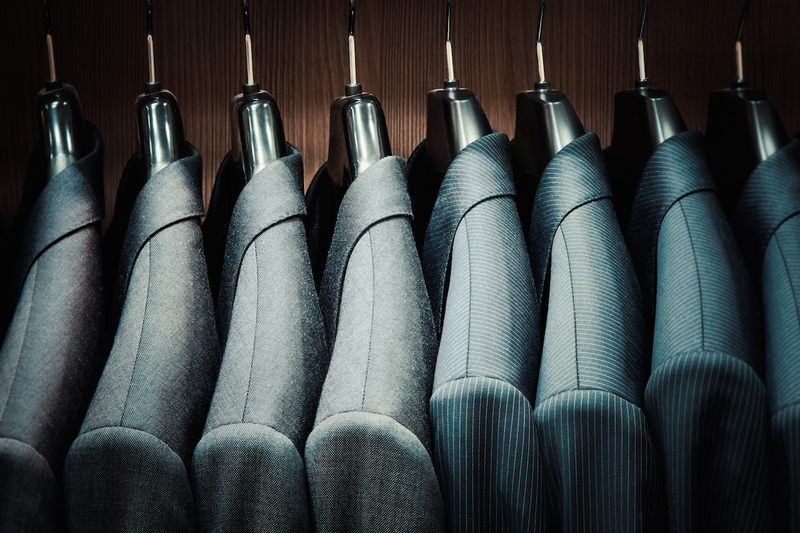 Choosing men’s suits can turn out to be tricky and confusing. 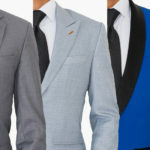 Follow this complete guide on how to choose the perfect suit for your need. 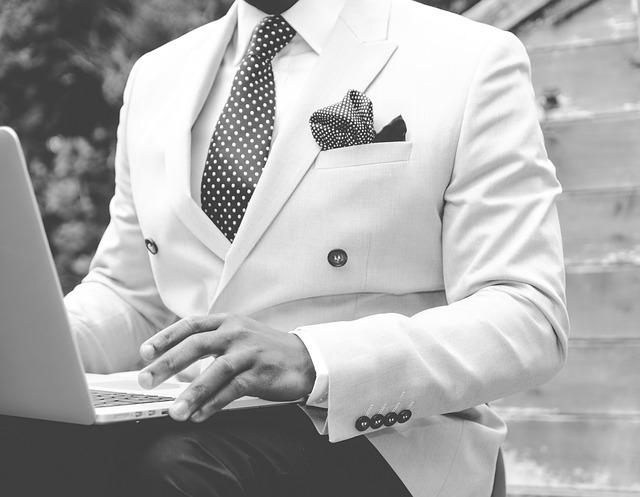 Join our mailing list to receive guides and latest news in men's suits. Copyright © SuitsExpert.com. All rights reserved. Join our mailing list to receive the latest style trends.